Mullage is back again, with yet another classic!! Just in time for the infamous For Smokers Only Holiday, “420”. This time they teamed up with Grammy Award Winning Super Producer DJ Toomp to bring their fans a well waited, yet highly anticipated release. “ Fye Me Up” is a catchy, melodic tune that instantly fills the room with high vibrations that stoners can appreciate during a time of celebration like “420”. This visual also features Bags, Tony Michael, Cash Only, and friends. Following the release of their Weezy100it assisted single “Dirty Diana,” which has amassed nearly over 300K streams online, Mullage returns in this epic ATL Kick-Back showcasing life as we know it for most stoners celebrating the culture’s national “Pot Day”. “Fye Me Up” also feature scenes with shots of their new clothing line “Funky Hipster Clothing”. Available online at (WWW.ITSMULLAGE.COM/FUNKYHIPSTER). Continuing to push the limits of their musical talents, Mullage remains outside of the box in comparison to most. With a style that continues to showcase their unadulterated chemistry, along with their ability to craft undeniable melodies and authentic lyrics. Mullage is currently working on their LP, entitled “P.R.E.Y.” An acronym for “People Really Envy You”. Which is expected to drop on all streaming platforms before the summer. I’m almost certain fans won’t mind some timeless tunes to vibe to in the meantime while they wait! Happy 420!!!!! 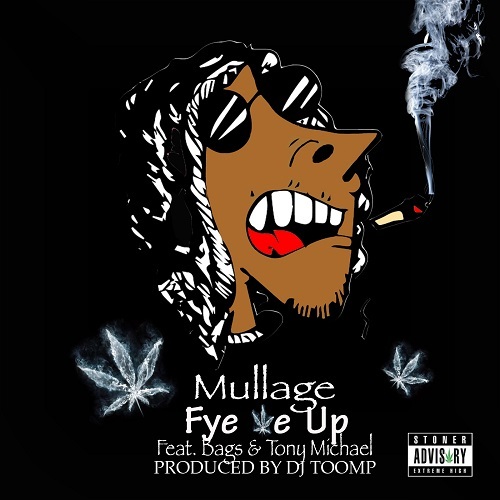 Mullage “FYE ME UP” Featuring Bags & Tony Michael from Offical Mullage Page on Vimeo.